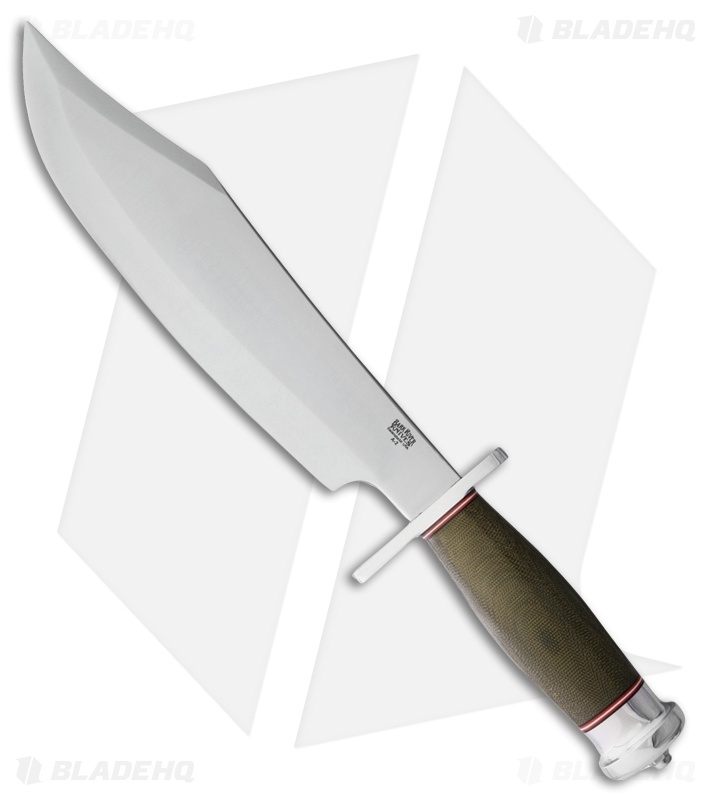 If you're a fan of the movie "Inglorious Bastards" and why wouldn't you be, then the Bark River Shining Mountain Bowie might be familiar. Lt. Aldo Raine's iconic bowie is a re-handled version of the Shining Mountain. The large 10.5" A2 blade is a 1/4 inch thick with a wide tang that extends flush to the pommel. Rounded green canvas micarta handle fills the hand comfortably and securely. Polished hand guard and mushroom pommel provide a simple but attractive touch while adding an additional layer of safety. The hand made leather belt sheath allows for easy carried when in the field or on a hunt. Ergonomic canvas micarta handle scales offer lasting comfort.